Genuine Fiat Ducato 15" Wheel Trims, suitable for use on X250 Fiat Ducato vehicles from 2006 to 2014. Sold individually. Genuine Fiat Ducato 15" Wheel Trims, suitable for use on X250 Fiat Ducato vehicles from 2014 onwards. Sold individually. Beautifully crafted wheel trim suitable for 15" Motorhome wheels. Very commonly used in the industry. They enhance the look of any Motorhome. 15" Wheel Trims suitable for use on Fiat Ducato X230/X244 vehicles. These are non Fiat branded trims so are suitable for use on Peugeot Boxer / Citroen Relay vehicles from the same era. Sold individually. Genuine Fiat Ducato 16" Wheel Trims, suitable for use on X250 Fiat Ducato vehicles from 2014 onwards. Sold individually. Beautifully crafted wheel trim suitable for 16" Motorhome wheels. Very commonly used in the industry. They enhance the look of any Motorhome. 16" Wheel Trims suitable for use on Fiat Ducato X230/X244 vehicles. These are non Fiat branded trims so are suitable for use on Peugeot Boxer / Citroen Relay vehicles from the same era. Sold individually. 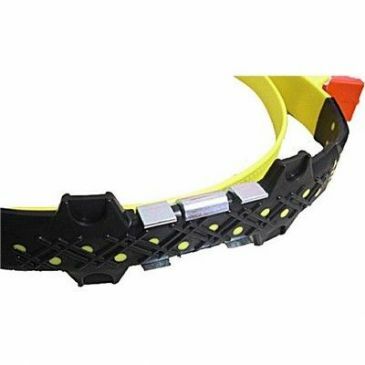 These new and improved Jeko snow belts are an easy way of getting about in the snow or getting out of thick mud! 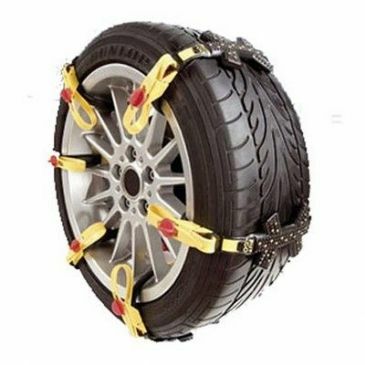 Don't get stuck in the snow again by fitting these emergency use only snow belts. The Jeko snow belt is extremely easy to fit and this one set has enough belts to use for a set of 2 alloy wheels.